Network controllers, also known as network control operators or technicians, are specialist technicians responsible for overseeing the engineering infrastructure of a business or organization. 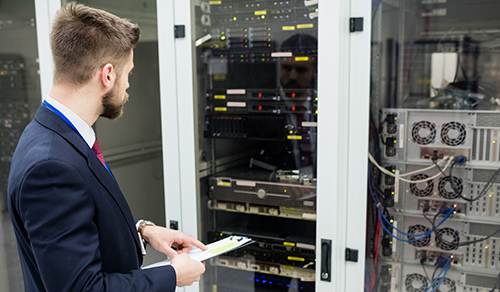 From monitoring and addressing network issues to installing new systems, network controllers can also take on the roles of a network planning analyst and network administrator. Hiring freelance network controllers rather than offering full-time positions can reduce running costs. If you’re looking for a freelance network controller, Field Engineer can help. Finding the right person for the job is made simple with our user-friendly on-demand hiring platform. At Field Engineer, we have more than 40,000 engineers and technicians located across the globe. If you have a job, we can connect you with trustworthy, skilled individuals that match your requirements. All you have to do is post the work and provide some information about the type of candidate you’re looking for. Once you have relevant profiles, you can message network controllers in the desired area and narrow down the options before making your choice. Field Engineer gives you the flexibility and freedom to manage your work projects on the move. Using a very simple interface, you can access the platform at any time to track progress, keep up to date with your orders, and oversee payments and view reports and analytics. To start working with experienced technicians and take advantage of a flexible, skilled workforce, simply sign up today and post your first job.